The recent Student Government elections were strenuous; posters, stickers, flyers, anything and everything that could be used to get the candidates name out there was used, and used profusely. There were several upsets and unexpected wins in the results of these elections, but the student body must nonetheless accept these popularly elected representatives as the new faces of the school. Along with the process of the students accepting the representatives as their own, STUGO as an organization must also adapt to implement these officers new personalities, policies, and campaign promises. “Even though they’ve only been elected two weeks ago, I can see the potential they have to make this year the best,” Student Body President Ajay Kumar comments. Student Body Officers, unlike class officers, were put into place at the end of last year. 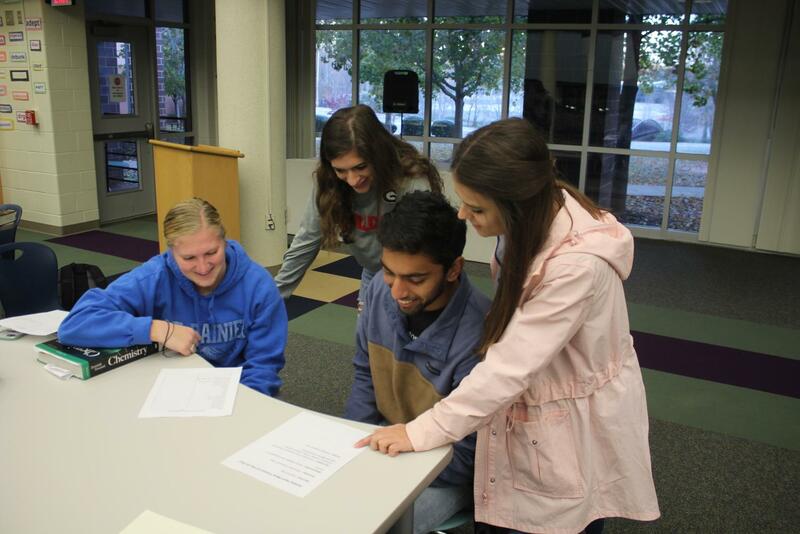 Student Body Officers typically assist in running the entirety of Student Government, having a hand in every STUGO event as well as helping the younger and more inexperienced members of the organisation find their ground. “Their hard work, dedication, and school spirit are truly the most the school has ever seen,” Kumar concludes. Homecoming week served as the first major event and test these newly elected officials had to endure. Every member was required to dress out for the respective spirit days, each one typically dressing more eye-catchingly than their peers to support Weddington before the coming game against Marvin. The week ended with a pep rally, during which every grade’s respective officers had to help direct participants during games such as blindfolded musical chairs. Though the lack of a tug-of-war made some students uneasy after the rally, it was largely revered as a success in terms of exciting people for the game that evening. The recent Student Powderpuff game was the second event run by the new STUGO officers, specifically the Junior Class. The event went smoothly, though there were some errors with the scoreboard that were resolved soon after they arose. While events such as these are objectively important to the functioning of the school and outside school events, having a figurehead to represent the entirety of a class, and indeed the entirety of the school, is remarkably important to keeping school spirit alive. Dean Melissaris fits into this position as the newly elected senior class president. Melissaris comments that his classmates have “welcomed him with open arms,” and continued, saying that he “appreciates how easy and welcoming the transition has been”. In the past both the student body president and the senior class president have been seen as symbols that the school can unite under, and while it’s currently unclear if this will continue to be the case with Kumar and Melisarris, it is certain that both are at the very least well-liked. Kumar has already made his mark within in the school through his presence on the announcements every morning, and while Melissaris has yet to become omnipresent within the school in a similar fashion, his popularity is undoubtedly proven through his mere election to office. The most grueling hours for STUGO officers are still yet to come, however, several of the most time-consuming and looked forward to events being held in the Spring, including (but not limited to) The Talent Show, Prom Fashion Show, Reverse Homecoming week, Prom, and several of the senior events. While thus far the new Student Government officials seem to be holding their own, time will tell whether they will be able to withstand and go above the expectations of the student body to be elected for a consecutive term next year.